This is Part 1 of a three part series discussing the Constitution’s Origination Clause. Part 2 explains the Senate procedure of “gut and replace”. Part 3 explains why “gut and replace” violates the Constitution. Governments are organized to secure those rights. In 1787, at the Constitutional Convention in Philadelphia, the delegates faced many issues. There were issues related to creating a government consistent with the Declaration’s principles and practical political issues like balancing the interests of large states and small states. To establish a government consistent with the Declaration’s principles, they looked to the political wisdom of the ages and determined the best protection for natural rights was separation of the functions and powers of government. 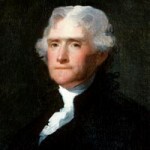 Two concepts were built into the Constitution’s institutions to balance state interests: federalism and the differing membership of the House of Representatives and in the Senate. The Framers were so concerned about the dangers of consolidated power, they even divided certain functions between the House and the Senate. John Marshall: “The power to tax involves the power to destroy”. The most fundamental element of sovereignty and greatest threat to liberty and natural rights is the power to tax. Considering the taxation abuses under the British kings and Parliament, the Constitution’s drafters wished to keep taxation subject to the closest possible scrutiny by the voters. Citizens were to directly elect Members of the House of Representatives every two years from local districts. The Senate’s members would serve six-year terms and be chosen by state legislatures not by voters. The English Parliament consists of two bodies, the House of Commons and the House of Lords. Members of Commons are directly elected by citizens and the Lords are variously appointed or inherit positions. Since at least the early 15th Century English law had limited the origination of tax bills to the directly elected Commons. In the colonies, taxes and budgets originated in the popularly elected colonial assemblies. At the time of the Constitutional Convention in 1787, many state constitutions limited the origination of revenue bills to the lower house of the legislature. Thus, there was a longstanding tradition that a protection from onerous taxation came from limiting the introduction of tax laws to the representatives closest to the people. The Framers had to balance the protection of individual rights along with practical political considerations. The Origination Clause was thus broken into two parts. The first, “All bills for raising revenue shall originate in the House of Representatives…” provided protections to both the people and the large states by having tax measures begin in the house with members most frequently elected and membership based on state population. The second part, “…but the Senate may propose or concur with amendments as on other Bills”, protected the interests of the small states by allowing Senate amendments, a body in which the small states had equal representation. The Origination Clause developed from over 400 years of history in giving the “power of the purse” to that component of government designed to be most responsive to the people by way of smaller numbers of constituents and frequent elections. Designating clearly the governmental body that would originate taxes would be “good government” as well, since it would provide clear accountability and a short time frame for citizens to be heard by way of their ballots. The philosophy of the Declaration recognized the need for government to protect the natural, inalienable rights of the people. 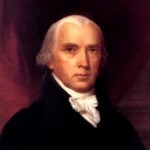 The Founders also understood that for government to work it is generally granted two monopolies. One is taxation, the other is violence. In establishing a government that could responsibly exercise these monopolies and protect rights, a multitude of institutional safeguards were created. A vexing problem in creating these safeguards was how to have the philosophical goals mesh with the practical politics. The Origination Clause was one of the safeguards in the exercise of the taxation monopoly molded to protect rights and meet the practical politics of forming a “more perfect union” among a group of states with divergent interests. For how the Origination Clause has fared since ratification of the Constitution go to Constitution’s “Origination Clause”: Why Revenue Bills Start in the House, Part 2. A thing is “Unalienable” if, by its very nature, it can neither be taken, nor given away. American Federalism was unique to the world in that it established a division of subject matter sovereignty between units of government within the same geography rather than branches. Preservation of state power served both as a protection for individual freedom and the political interests of the states. To address the concerns of the large states, each state would have a member of the House of Representatives for every 30,000 of the population defined in Art. I, sec. 2, and every state would have at least one regardless of population. All states would have two Senators giving an equal voice in the Senate to every state regardless of size. The plan to give equal representation to each state in the Senate and proportional representation based upon population in the House is known as “The Great Compromise”. For example, the Senate alone approves treaties and presidential appointments and the alone House initiates impeachments and selects the president in the event of a failure of a presidential candidate to achieve a majority in the Electoral College. Direct election of Senators would come 114 years later with ratification of the 17th Amendment. 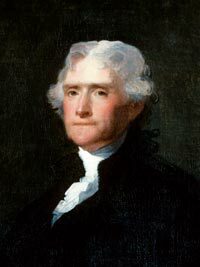 For history of tax origination practices in England, the colonies and states and the Origination Clause in practice in the United States in the 18th and 19th Centuries, see: Bills for Raising Revenue under the Federal and State Constitutions.